is one of the oldest devotions in the Church. Our Blessed Mother adored the Most Precious Blood of her infant Son on the day of His circumcision as the first drops of His Precious Blood were shed amongst many tears for the salvation of our sinful humanity. 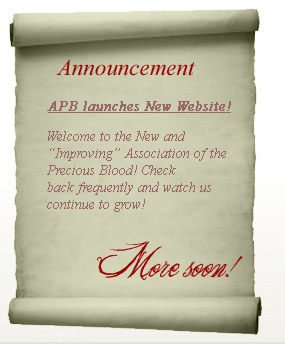 Copyright © 2010 Association of the Precious Blood, Inc. All Rights Reserved.